AMD's latest Ryzen Threadrippers will land just while Intel is in the midst of a CPU shortage. 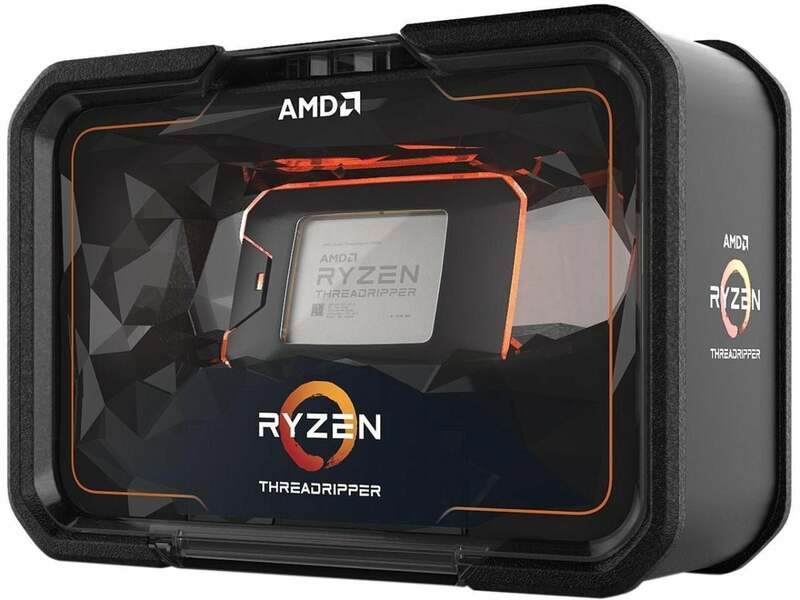 AMD’s 24-core and 12-core 2nd-generation Threadripper CPUs will officially hit the streets on October 29, the company said. AMD announced a quartet of 2nd-gen Threadrippers, with only the 32-core and 16-core versions shipping so far. By the end of the month, the company said, the final two will arrive, putting all of AMD’s cards on the table for the year. AMD’s last two Threadrippers will hit the streets on Oct. 29, the company said. The 32-core CPU Threadripper stunned the computing world when first announced at Computex in June, and has generally been greeted with glowing reviews. The latest two Threadrippers just ladle on the performance and value AMD has been serving. An analysis of pricing per thread from our original review of the 32-core 2nd-gen Threadripper shows you the mouth-dropping value the company has been offering compared to Intel. 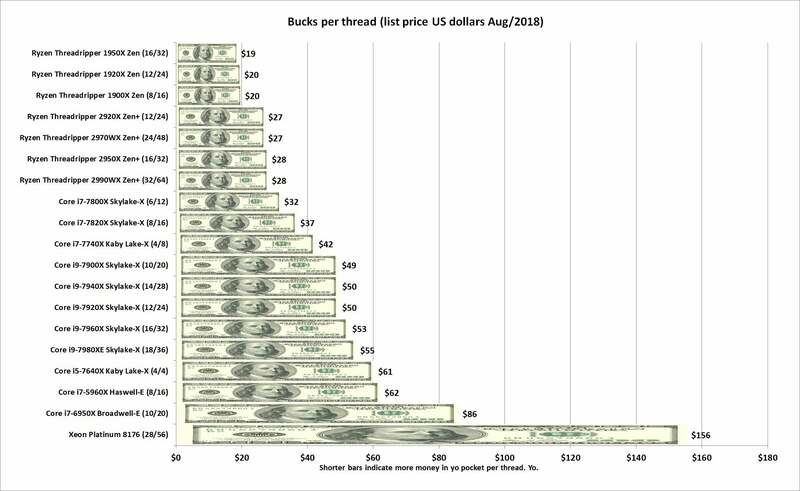 When you look at how much you’re paying per thread for a CPU, AMD’s the big winner. Perhaps worse, how does Intel sell a consumer 28-core CPU at a competing price, when the server version is almost $9,000? With a list price of $1,299, AMD’s Ryzen Threadripper 2950X will pack 24 cores, yet still be far below Intel’s $1,999 price for its Core i9-7980XE. For the $649 AMD is asking for its upcoming 12-core Ryzen Threadripper 2920X, you can expect an 8-core, 16-thread Core i7-7820X. And that’s if you’re lucky to find a Core i7-7820X at its list price of $589. With Intel’s well-publicized chip shortage, prices of its CPUs have spiked. For example, we found the 8-core Core i7-7820X fetching as much as $918 on Amazon.com.